Our new Sundre striped Marine shirt is cut from 70% cotton & 30% linen. This “ready to wear” shirt is made from premium durable two-ply cotton. Due to the amazing “Plain weave” this fabric is extremely strong and durable. The fabric composition of 70% cotton & 30% linen creates an cool and comfortable look and feel. Our modern slim-fit cut and exceptional cutaway collar sets you apart from others on hot summer days. We proudly introduce our new Sundre Linen collection. The beautiful seaside area of “Sundre” has inspired us to create the Sundre collection. This collection is made of a unique premium mixed linen/cotton fabric. This fabric is composed of 70% cotton and 30% linen. This fabric composition offers three major advantages. 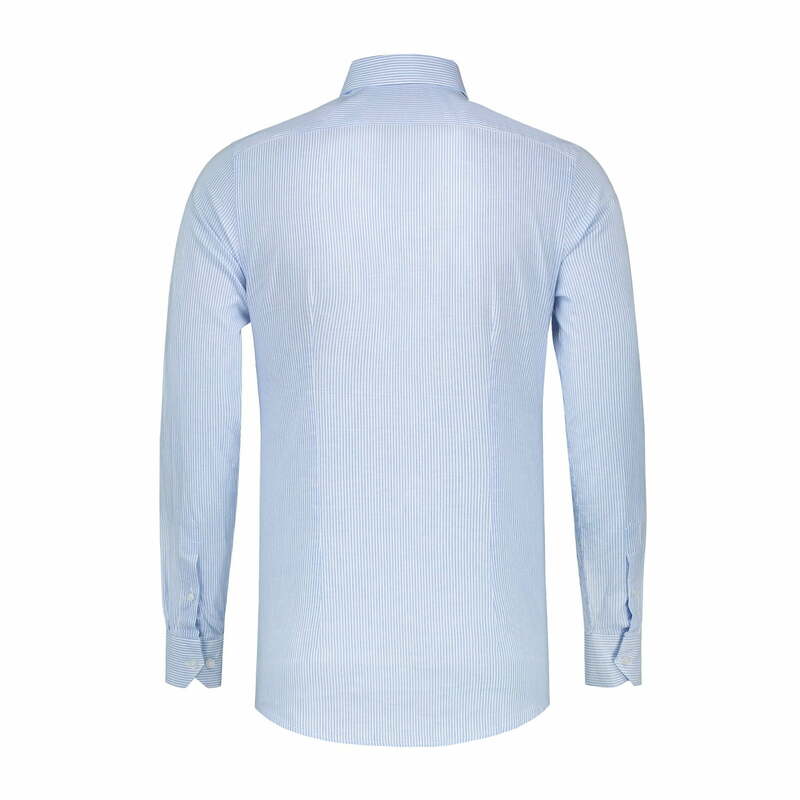 To start the shirt will wrinkle less due to the 70% cotton woven into the fabric. In other words the shirts can be worn longer without wrinkling. Furthermore this premium mixed fabric will be easier to iron compared to a 100% linen fabric. 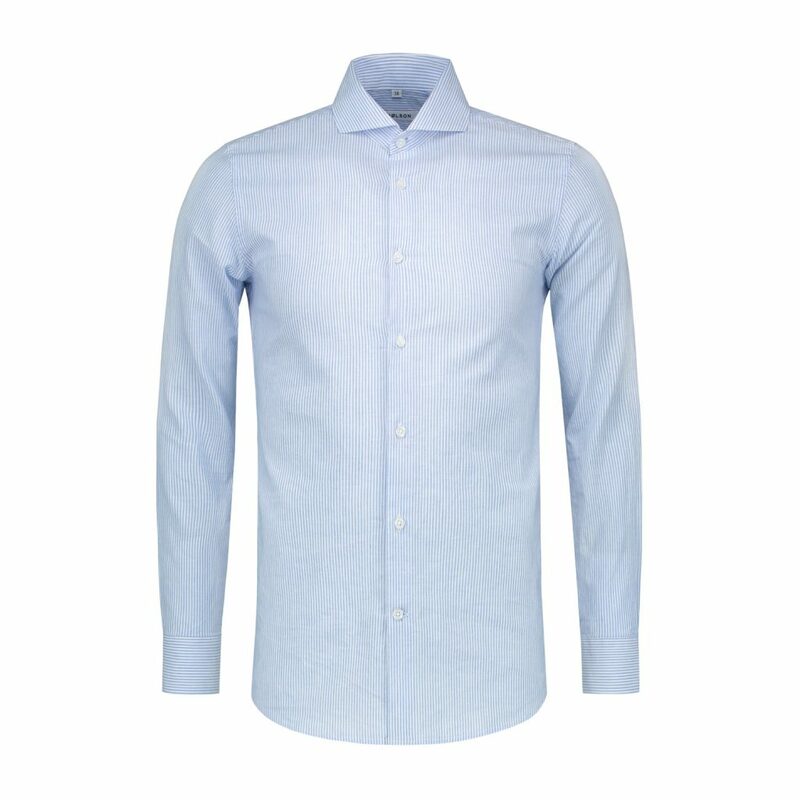 Secondly, the shirt is fresh & cool due to the 30% linen that is woven into this fabric. Because of this you stay fresh and cool on hot summer days. The last great advantage of this fabric composition is the soft feeling of this fabric. 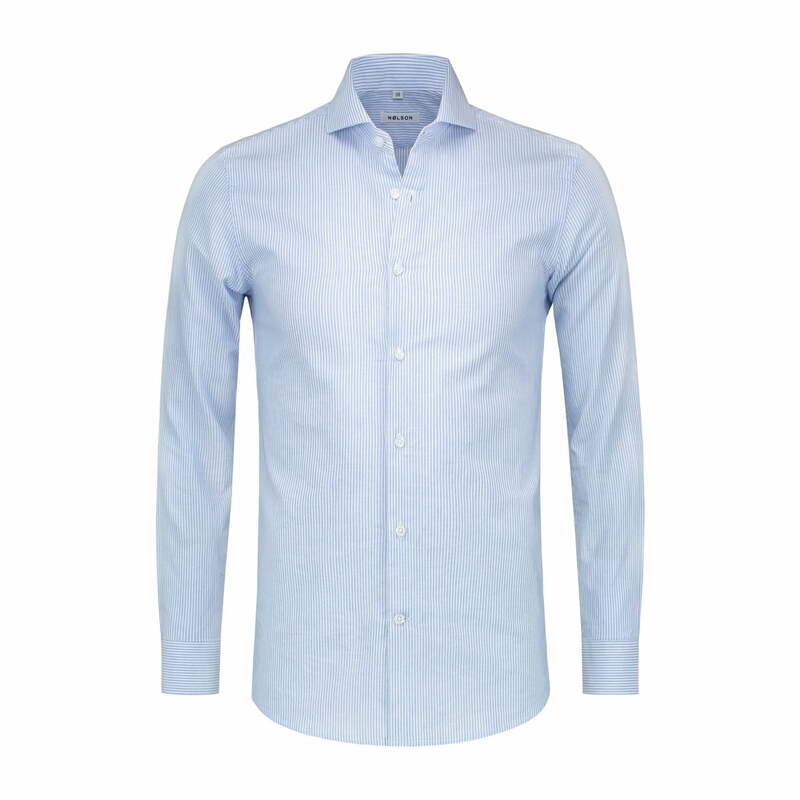 Because of the high percentage of cotton in this fabric the shirt does not irritate the body. Additionally our design team made small adjustments in the fit of the shirt. This gives the Sundre collection more comfort and a fresh look on hot summer days.